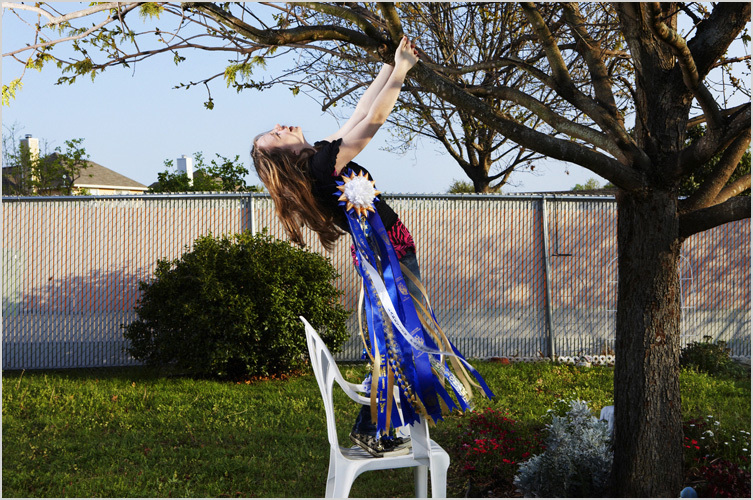 MUM is centered around a gift-giving ritual virtually unknown outside of Texas, the Homecoming Mum. The game of football is inextricably rooted into the bedrock of Texan culture, and the Homecoming tradition is at its heart. 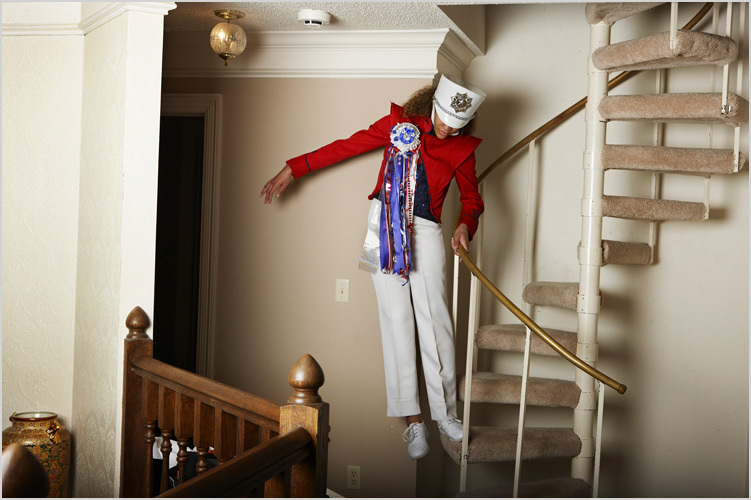 Virtually unknown outside of Texas, roughly 60-year-old tradition takes place on Homecoming Friday, aka Game Day. 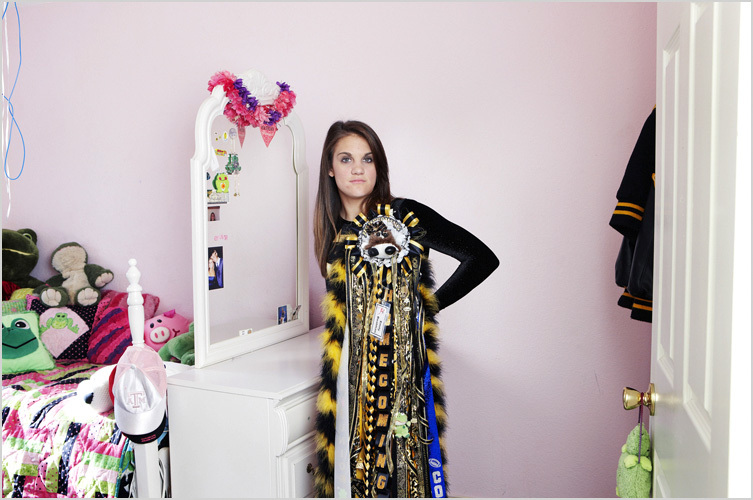 Exchanged between friends, the Homecoming Mum is an elaborate corsage which began as a simple gift of a chrysanthemum for girls to wear to the football game has evolved into an institution regarded as seriously as the game itself. 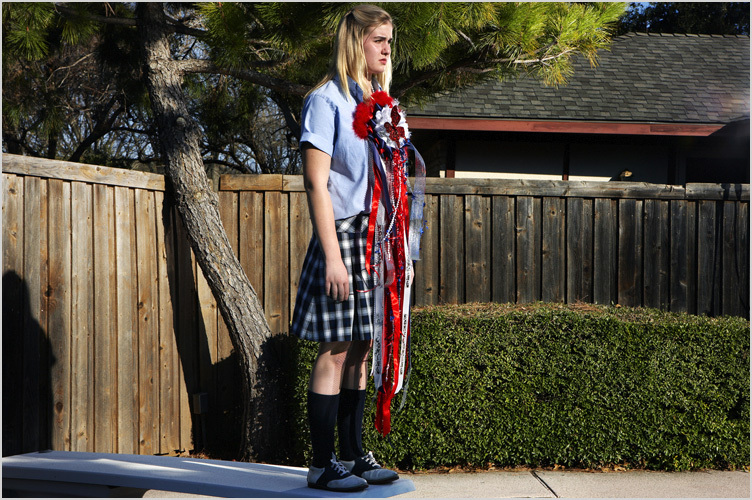 Homecoming mums are proudly worn for all activities on Homecoming Friday, and immortalized as trophies on bedroom walls all over Texas marking progress and personal history. 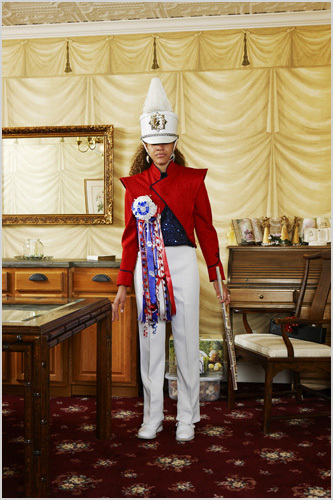 As both adornment and insignia, the Mum offers its wearer the opportunity to promote self-image, while identifying their status as an integral member of their particular community. 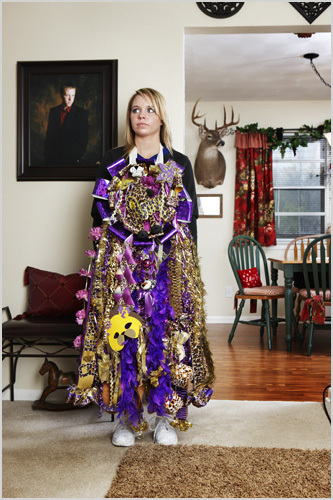 At a time when many American high schoolers seem actively disengaged from the world around them, the Homecoming Mum constitutes a unique act of cultural immersion, and specific brand of folk art. The seeds of the Mum project were planted when I injured both my hands, and was forced into a different sort of homecoming, retreating to my childhood home to recuperate. There I found a long lost box of small relics from the homecoming Mums of my past and I was immediately confronted by the ritual trappings of collective history. Rarely can you bring unknown customs to a broader audience. My hope is that the viewer recognizes the importance of rituals as vehicles of communication and reflects upon the interplay between individuality and social affiliation. Human existence is a creative act; the mystery is in how we are driven to innovate and engage the unspoken narrative of ourselves. 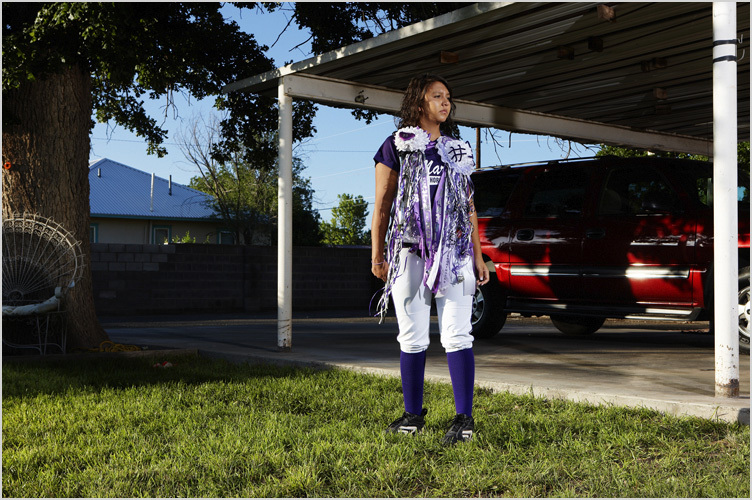 Fantastic photos and representation of a cultural phenomenon that could only happen in Texas! 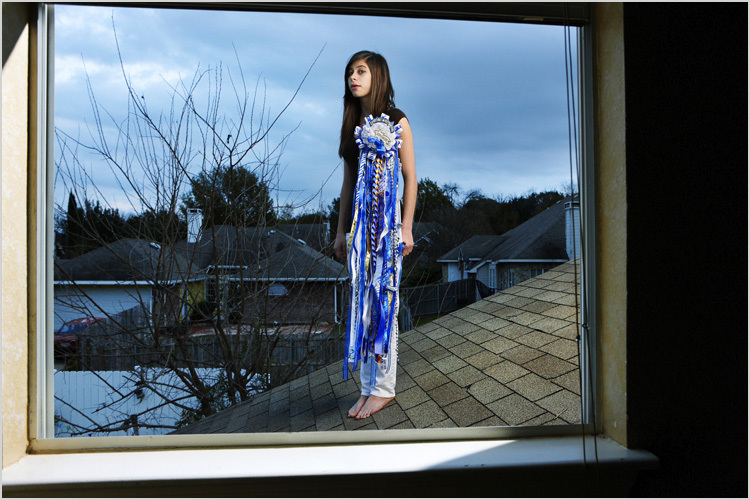 Do you need Payday Loans Missouri as soon as possible? But it is worth noting that these tests were carried out on the blood cells. Therefore, it's too early to say about scientific evidence of Viagra In Canada influence on blood clots.